Agriculture is humankind’s oldest and still its most important economic activity, providing the food, feed, fiber, and fuel necessary for our survival. With the global population expected to reach 9 billion by 2050, agricultural production must double if it is to meet the increasing demands for food and bioenergy. Given limited land, water and labor resources, it is estimated that the efficiency of agricultural productivity must increase by 25% to meet that goal, while limiting the growing pressure that agriculture puts on the environment. 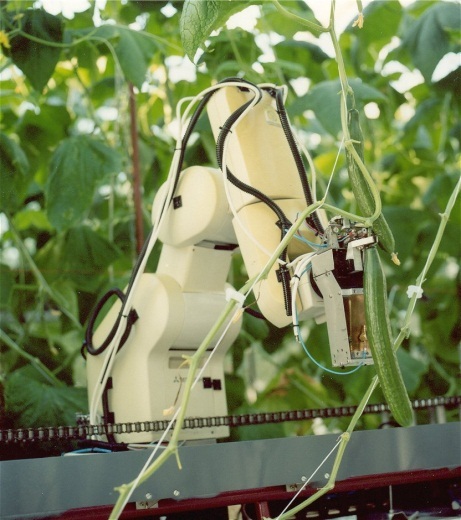 Robotics and automation can play a significant role in society meeting 2050 agricultural production needs. For six decades robots have played a fundamental role in increasing the efficiency and reducing the cost of industrial production and products. In the past twenty years, a similar trend has started to take place in agriculture, with GPS- and vision-based self-guided tractors and harvesters already being available commercially. 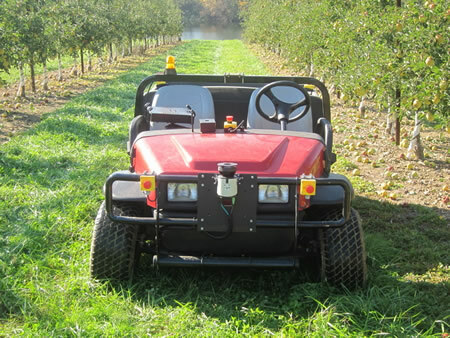 More recently, farmers have started to experiment with autonomous systems that automate or augment operations such as pruning, thinning, and harvesting, as well as mowing, spraying, and weed removal. 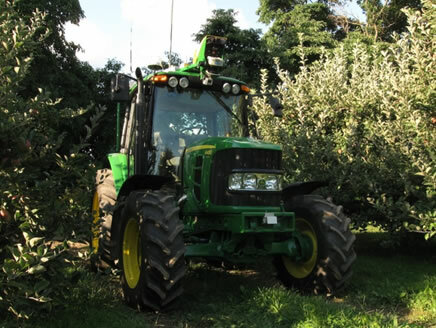 In the fruit tree industry, for example, workers riding robotic platforms have shown to be twice as efficient as workers using ladders. Advances in sensors and control systems allow for optimal resource and integrated pest and disease management. This is just the beginning of what will be a revolution in the way that food is grown, tended, and harvested. 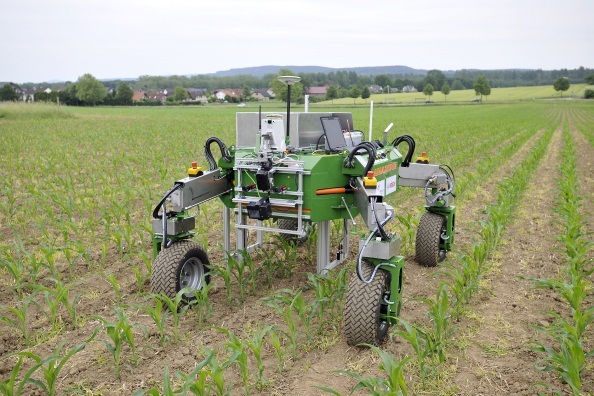 The mission of the RAS Agricultural Robotics and Automation (AgRA) technical committee is to promote research, development, innovation, and standardization in robotics and automation to enable safe, efficient, and economical agricultural production. AgRA is a forum where academic and industrial researchers and engineers meet to advance the state-of-the-art in sensing, mobility, manipulation, and management technologies applied to production of grains, fruits, vegetables, nuts, and horticulture and nursery crops. We welcome anyone interested in this exciting area to join and contribute to our mission.